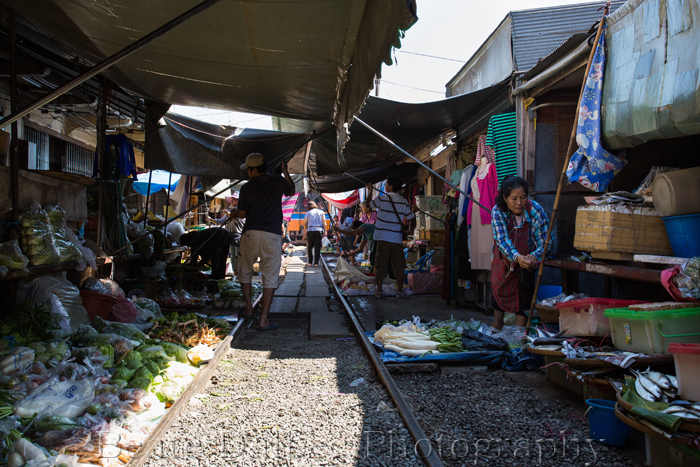 During my visit to Bangkok I had the opportunity to visit the Maeklong railroad market, not far from Bangkok. This market is probably unique in the world. 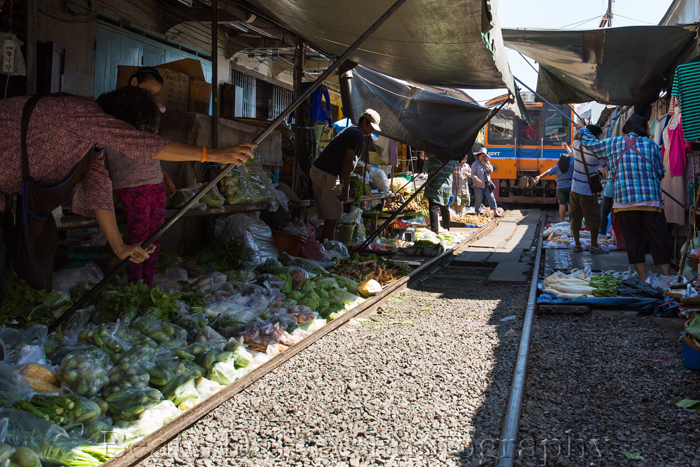 Vendors have their produce on both sides of the tracks and when the train passes through (which happens a few times each day) all they do is fold back the awnings and move a few baskets. 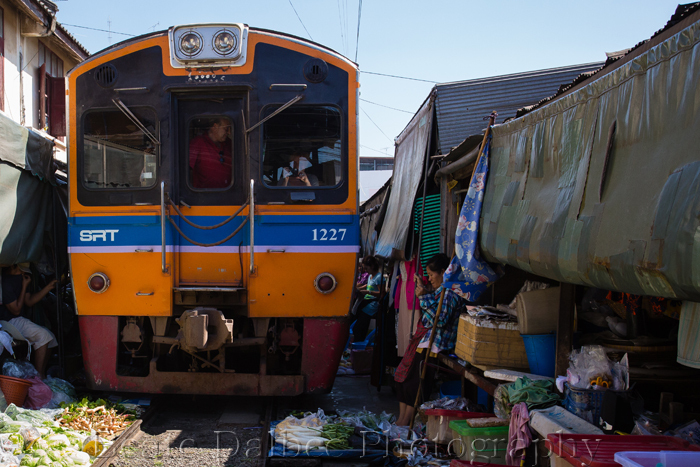 When I arrived with my friend Gavriel Jecan, the train was already in the station and the tracks were prepared for it. 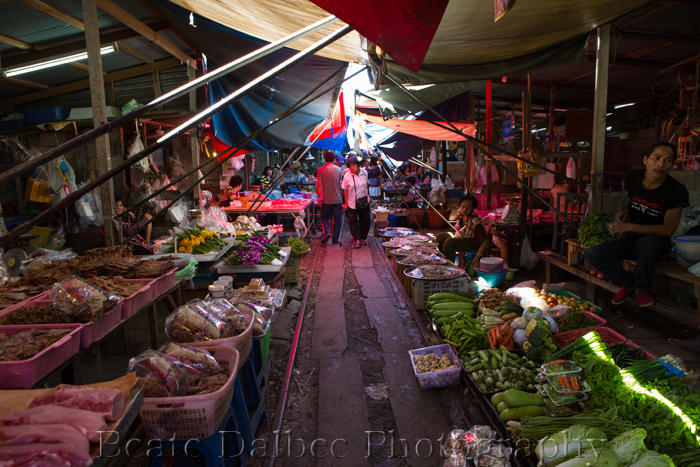 As it was passing through vendors were rebuilding their stands right behind it – all in a matter of a couple of minutes. 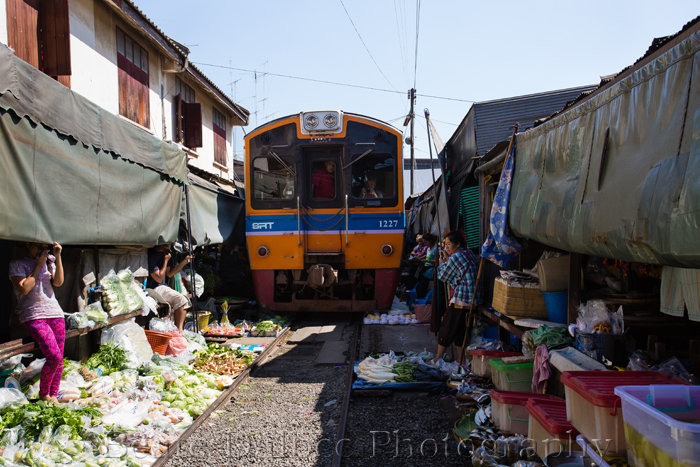 Before you knew it, it looked as if no train ever passed by.